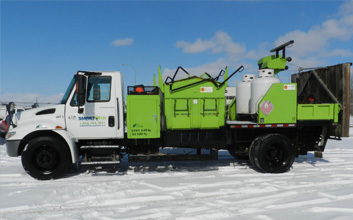 The most efficient pavement restoration vehicle available for making complete and permanent asphalt pavement repairs. A combination Reclaimer and Infrared Pavement Heater that can be custom mounted onto a truck chassis (customer supplied) 18,000 GVW and up. Smart Fix will custom design the unit based on truck dimensions and specifications with selected options. 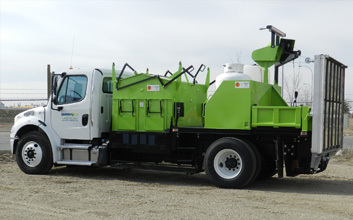 The Smart Fix TMV can reclaim waste asphalt into permanent patch material and hold fresh asphalt at the proper working temperature. The infrared pavement heater enables the user to make year-round permanent restorations. Infrared provides thermal bonding for superior quality repairs and increases production with just a crew of two. 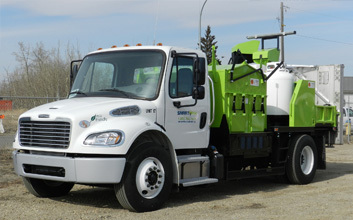 Fuel efficient and easy to operate. Bonds old and new asphalt joint free. Low maintenance and quality construction. Available in two, three, four and six ton reclaimer configurations.